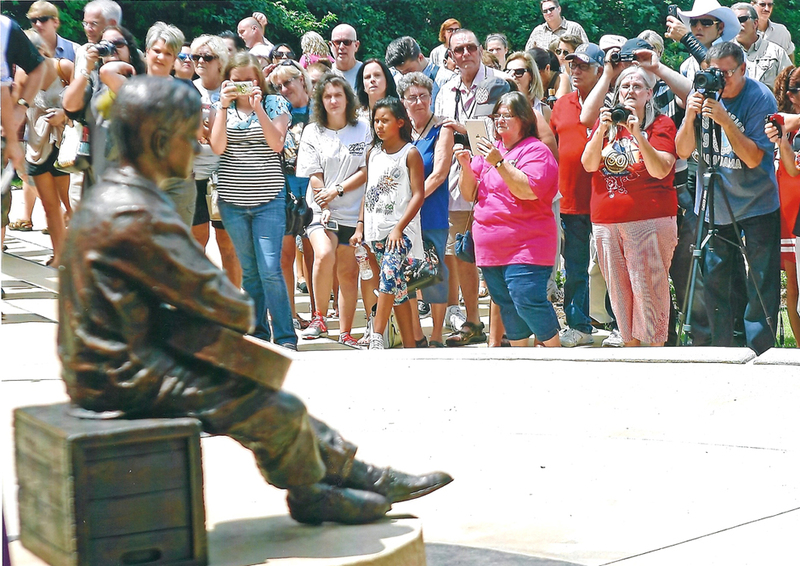 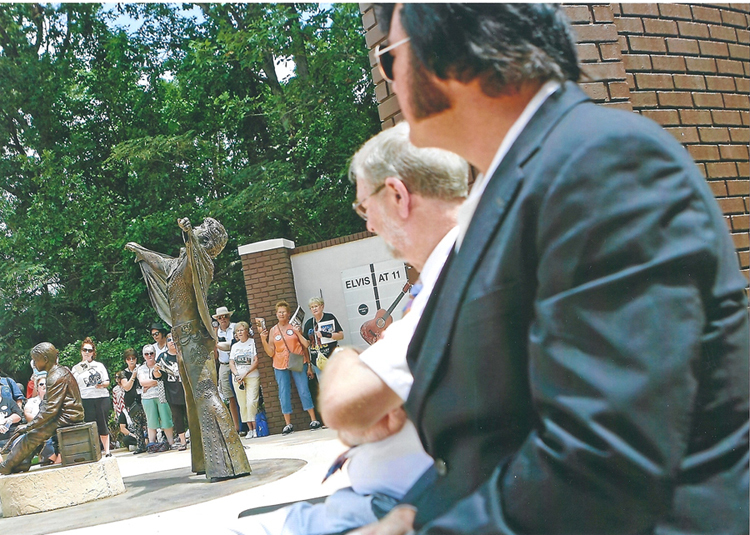 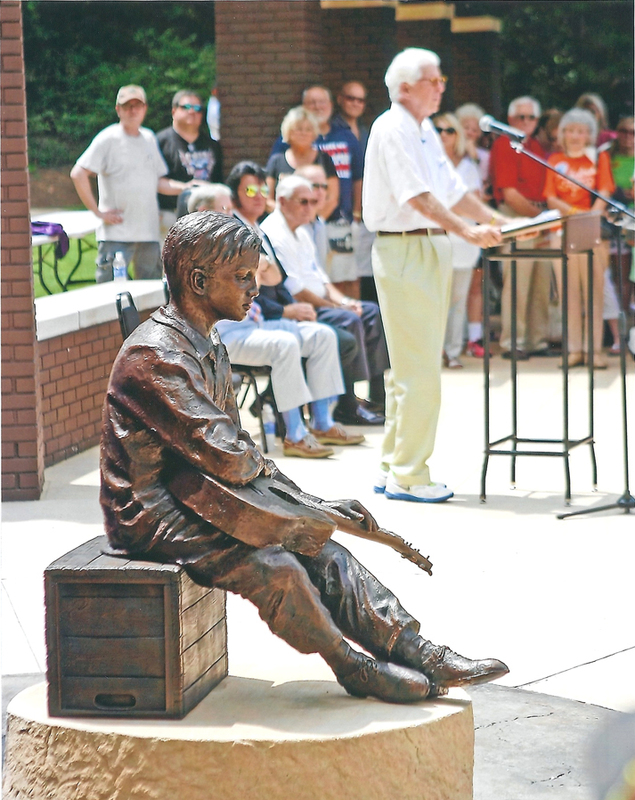 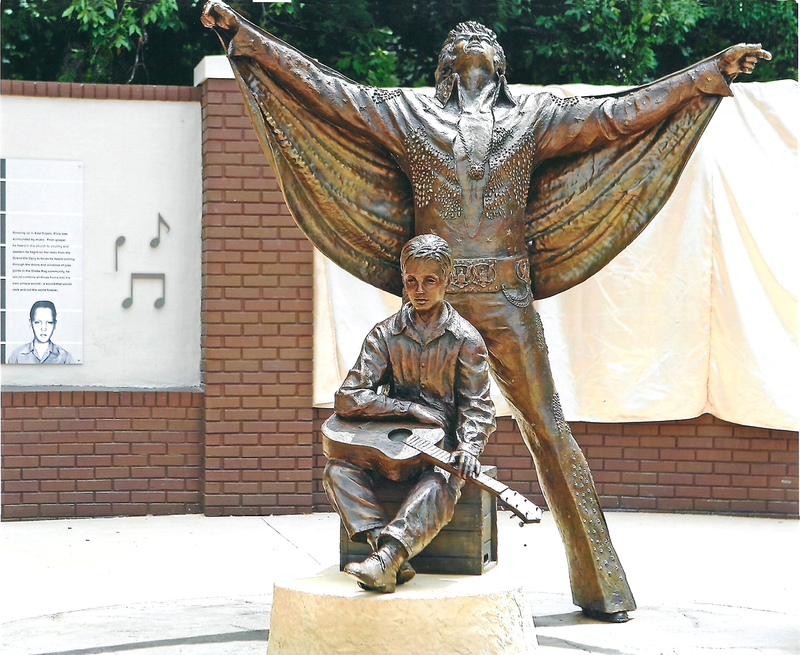 The monument "Elvis Becoming" was commisioned by the Elvis presley Memorial Foundation and was unveiled in 2015 at the Elvis Presley Birthplace in Tupelo, MS. 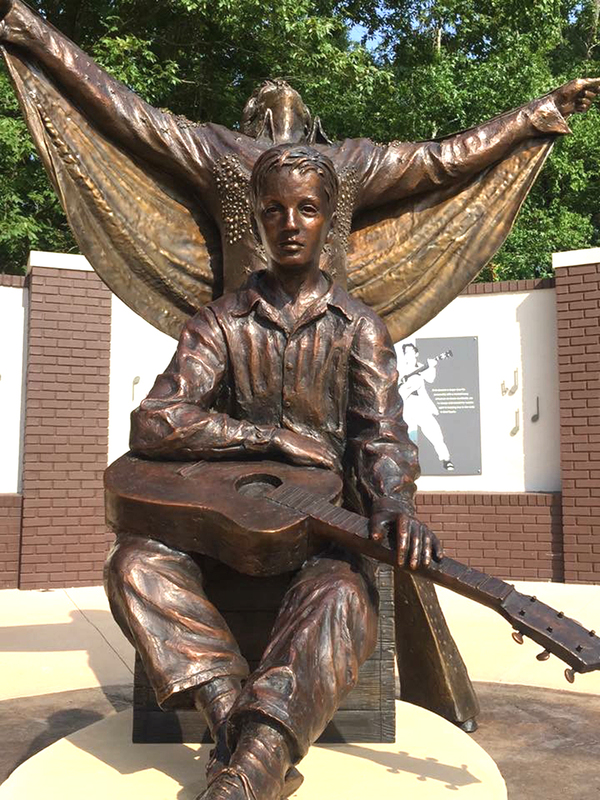 It depicts Elvis Presley as an 11 year old, sitting on an old milk-crate, on the top of a hill near his home, contemplating his future. 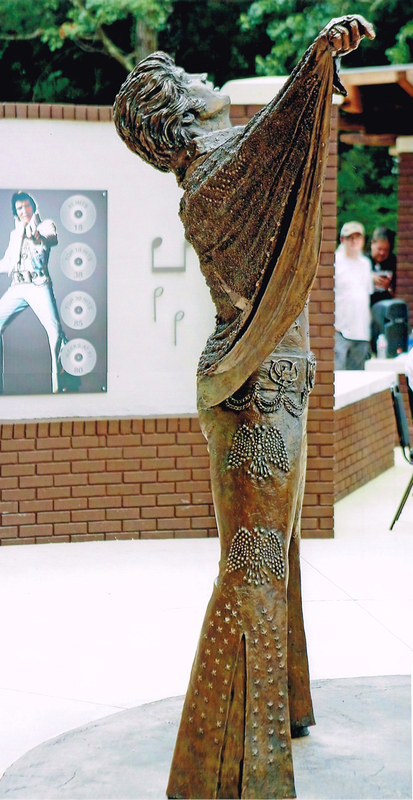 His future stands right behind him, in his most recognized outfit and pose.